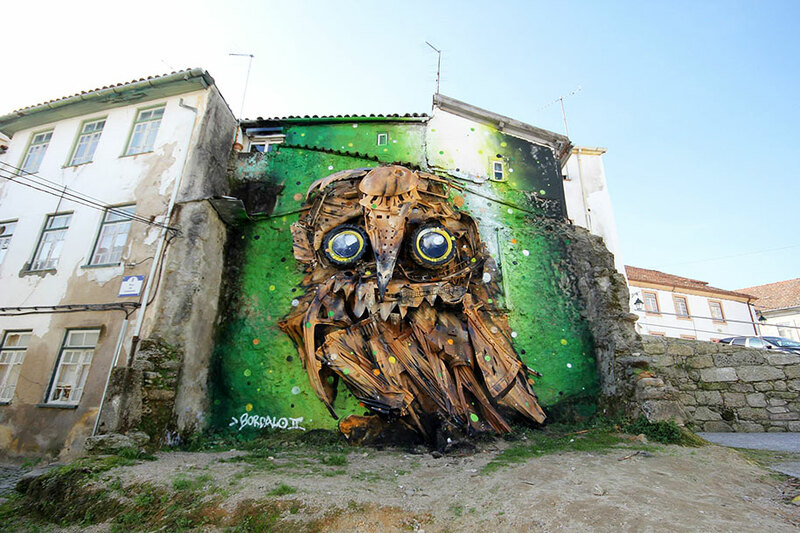 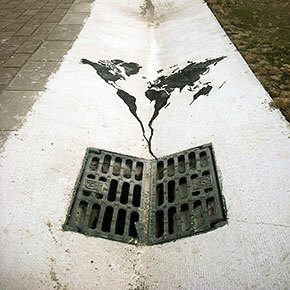 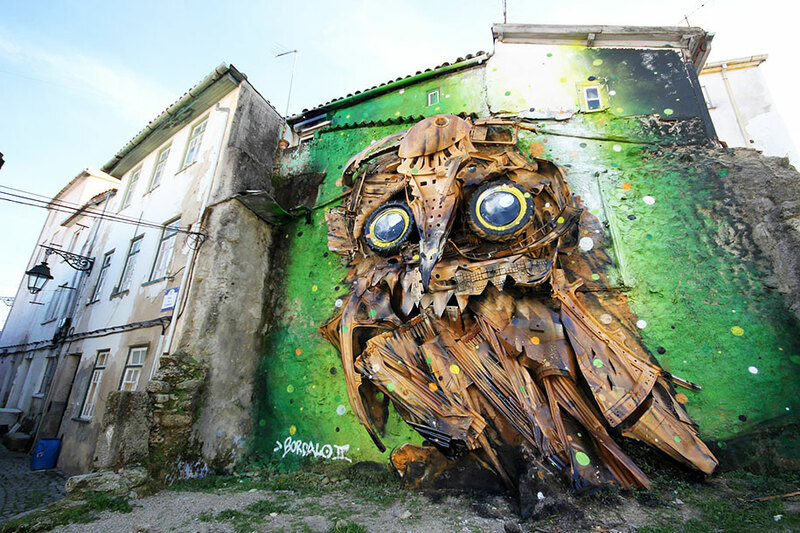 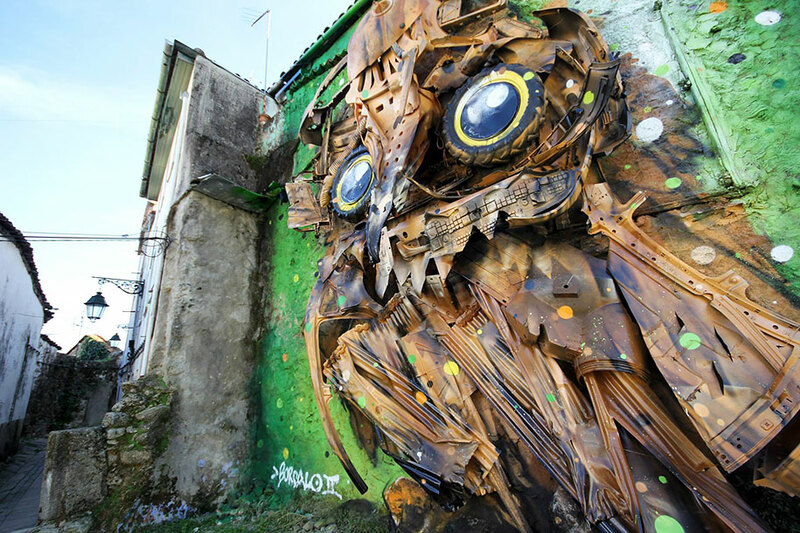 This giant owl sculpture, nestled against a city wall in Covilhã, Portugal, was created by Portuguese street artist Artur Bordalo (aka Bordalo II). 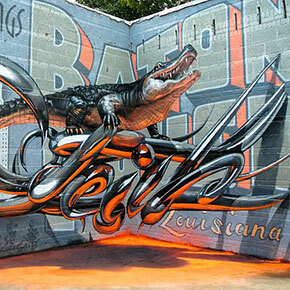 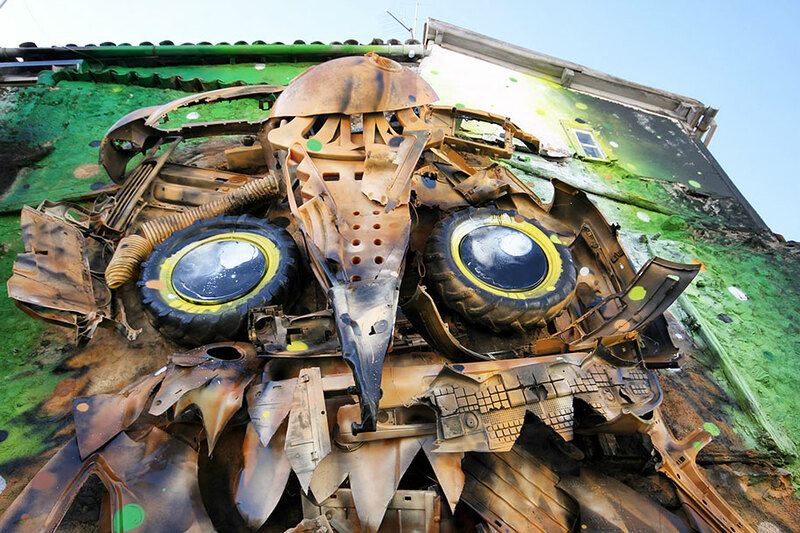 The sculpture is called “Owl Eyes” and is composed out of various metal scraps, tractor tires, corrugated sheet metal, and other bits of urban junk. 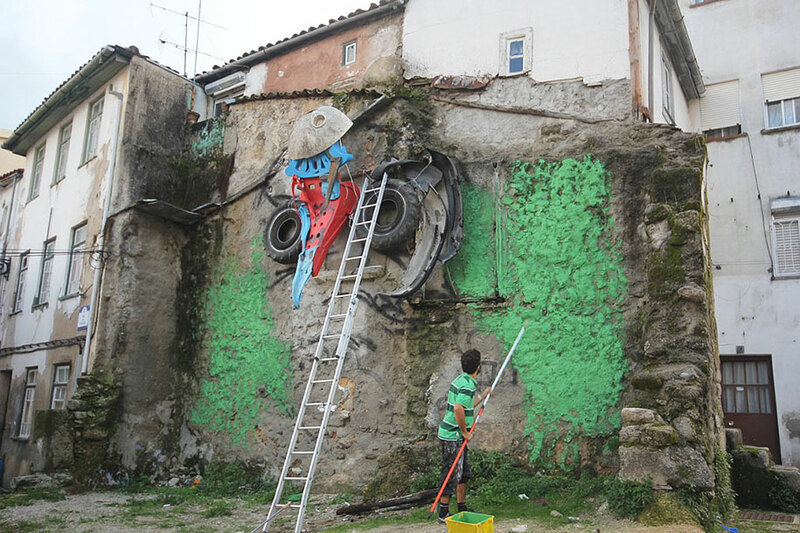 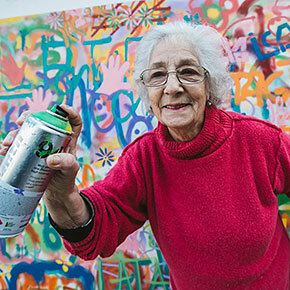 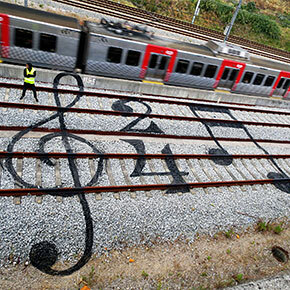 The steampunkish piece of street art was created as part of the annual WOOL festival in Covilhã, which is dedicated to urban arts. 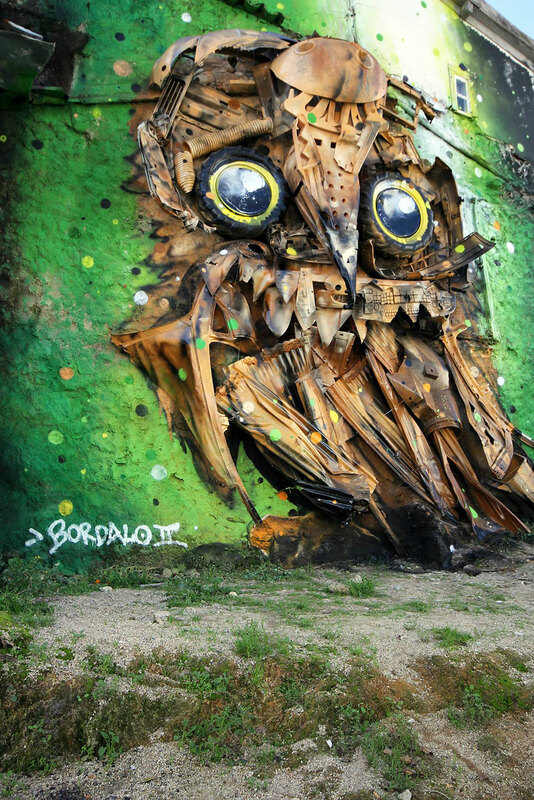 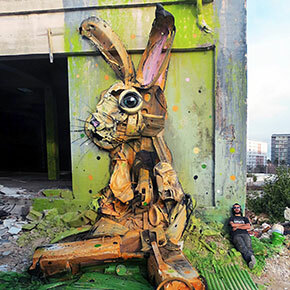 If you’re impressed by this owl sculpture, be sure to check out Bordalo II’s other works, some of which we wrote about earlier here.